Brady is going to Europe—with her mother! It's a family coming-of-age tradition, so there's no way out of it. 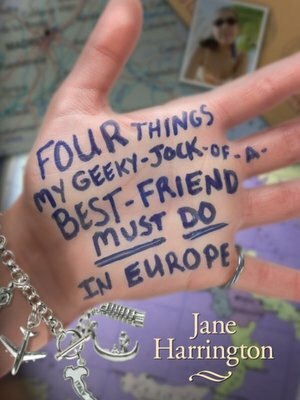 To make the trip more interesting, Brady's best gal pal, Delia, has written four things Brady must do while she's in Europe—and Delia used permanent marker so Brady can't chicken out. Brady would never do these things without some encouragement (AKA pressure) from Delia.